M.L. Gardner’s blog, Playing in the Past, has found a new home. Come visit her at http://www.mlgardnerbooks.com. Be sure to subscribe to the new blog to continue receiving post updates by email. Thanks! We’ve turned the spotlight onto the most important people we know……M.L. Gardner’s readers. One Friday a month, we’ll highlight one of you. You’ll have the opportunity to tell us all about yourself, your family, your passions, your dreams, whatever you want to share. You readers are the V.I.P’s, and we appreciate your support so very much. Please welcome, our very first M.L. 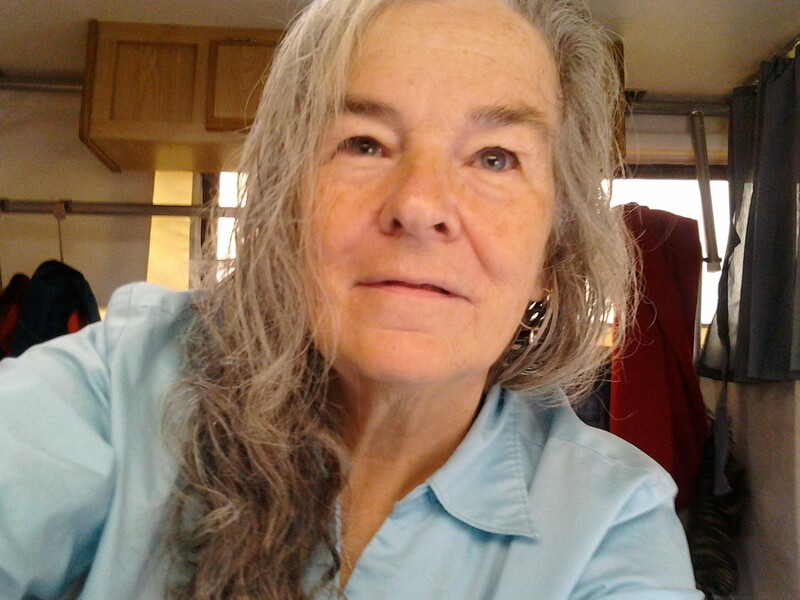 Gardner reader feature, Pauline Crawford! I was born in Biddeford, Maine. Shortly after we moved to Saco, then Arundel, Acton, Madawaska and finally Crawford Maine. I am a Mainer and love this state from the area wildness of it to the ocean. The changing weather is phenomenal and I do love the 4 seasons. Dad and Mom were very creative people. They were great parents and we did a lot of family things. Mom was an awesome cook and her crafts were original and beautiful. Dad liked woodworking and made a lot of things for the house. His pride was the 7 piece circus birdhouses that he made and I painted for him. I have a younger sister who has a daughter and 2 grandchildren. I had 4 children but my youngest son died at 11 years old. I have another son who is the eldest, an older daughter and a younger daughter. This way there was no “middle child” lol. I have 2 grandchildren of my own, and inherited 8 more (my husbands) and 3 great grandchildren. We have a Malti-poo named Waggedy-Anne and she is a very smart and lovable small dog. Are you employed, retired, stay-at-home parent, etc.? What’s your status and what do you do? My husband and I are retired but we do stay busy. We have an old lodge that we putter around in. It was a lodge when we bought it 10 years ago before we retired. Now, it’s home. It is very quiet and private and we love it. He has his food garden and I am struggling with flowers. We cut and stack the wood in a wood shed that Ron made from his lumber mill out back. We have wood and gas heat and a gas fireplace in the living room. We do a lot of fishing on the lake. There are many days when see one or two boats out there. Usually we see no one on the total 4000 acres of lakes . We enjoy hunting and fishing, playing Canasta on rainy or snowy days and just hanging out. We decorate at Christmas and just love our life here. I have many crafts that I love to do. I do enjoy a good book and Ms Gardner by far is the best I have ever read. I have others that I like a lot but nothing compared to the “1929” series. I love to design knitted or crocheted afghans, sweaters, hats and mittens. I have made many that I designed. I love to paint, sew, and cross-stitch. I tried writing in college and am not very good at it (lol) but it was fun. I love cooking and had over a thousand cookbooks at one time but I ended up getting rid of a lot of them before we moved to the lodge. We lived in a smaller place before so I had no room. This is hard as I have no “typical day”. I never know what the day will bring but I greet it with enthusiasm (sometimes). I do my daily cleaning, cook some sort of invention (on occasion) make bread or think of things to make (crafts). I just keep busy until suppertime. Then we watch the news and I do crafts while we watch television. The 3 of us do enjoy walking to the mailbox together. Sometimes we go out back and pick wild blackberries, raspberries, or blueberries when in season. I like to play family games. I enjoy getting ready and decorating for Christmas. I really enjoy surprising people for no reason at all. How did you discover M.L. Gardner? My youngest daughter Bonnie sent me the book on a Kindle that she bought me for Mother’s Day. She told me about a book (1929) she was reading by Ms. Gardner. I said it sounded interesting. She loaned it to me on the Kindle and I ended up buying my own copy and all of the other ones that followed. I mentioned to Bonnie about getting the hard copies and she suggested that I contact Ms. Gardner on Facebook to see if there were any plans to do that. I did and was very pleased that Ms. Gardner took the time to reply. I was even more impressed that she involved her readers in some ideas that she had and then listened and commented to them. To me, that spoke volumes of the kind of person she is. How can you not like someone who takes an interest in what you think when it is so obvious that she really doesn’t need help. Her stories are addicting and people can hardly wait for the next one to come out. A lot of things. Seeing the beautiful sunsets we have or watching the birds that we feed out our dining room window. Sometimes seeing the snow covered trees or some flowers bloom that I had completely forgotten that I planted. Walking the half mile walk down our roadway to the mailbox and stopping by the little brook to see minnows swim around. Trying to think of a surprise or of something that would make a person happy. 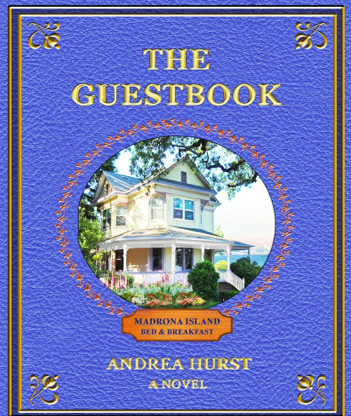 About a year ago, I devoured Andrea Hurst’s debut novel, “The Guestbook”. Did you notice I used the word ‘devoured’? Not read, or perused, but DEVOURED. 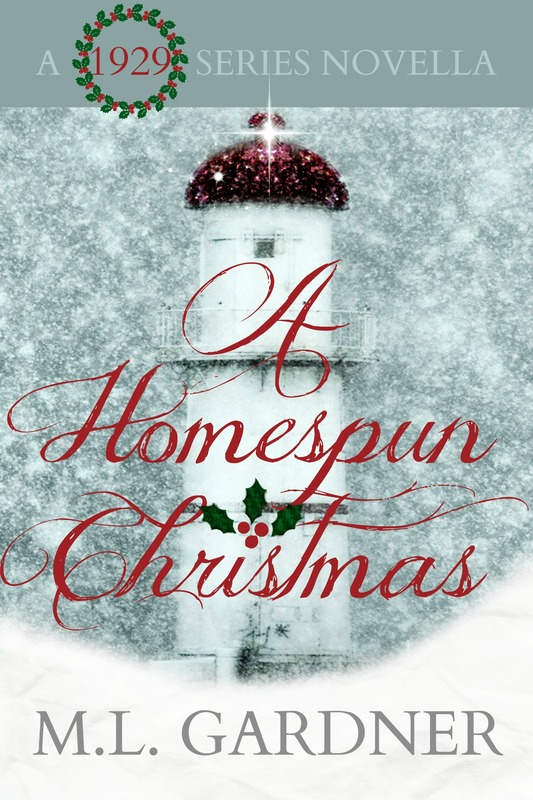 It’s just one of those books with all the elements: women’s empowerment, romance, starting over, an appealing locale, and even some yummy recipes. Combine these with Andrea’s writing style, and you’ve got yourself a memorable read. You can buy “The Guestbook” here. 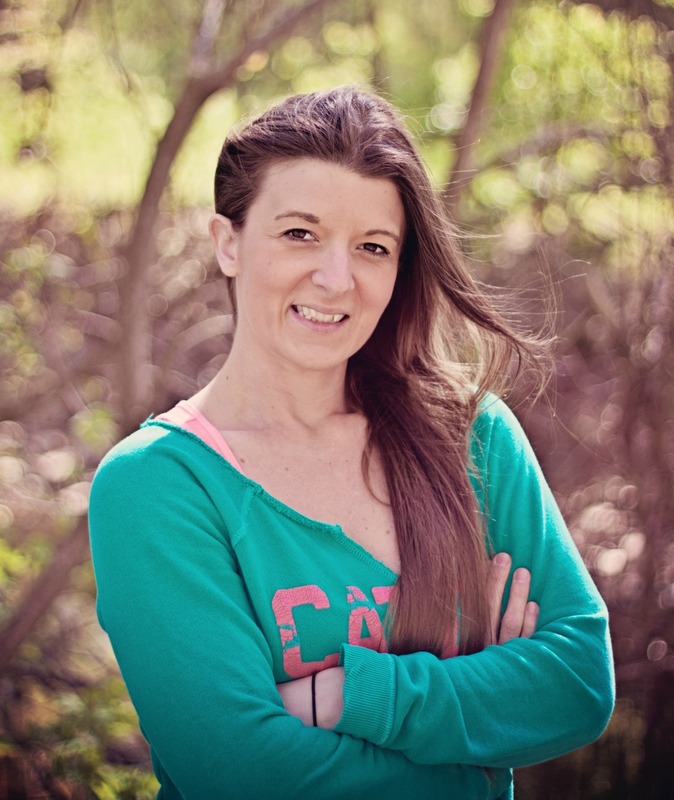 I’m happy to introduce you to today’s Writer Wednesday author, Andrea Hurst. Describe your books/genre to our readers. 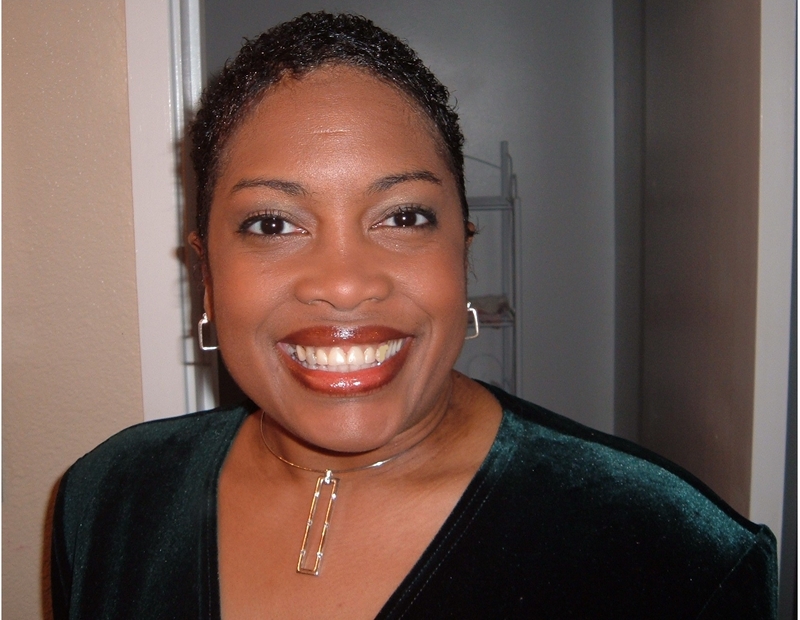 I write romance and women’s fiction books. My first book is a romance book called The Guestbook, which is about a woman who leaves her controlling husband and finds herself on a little island off of Washington called Madrona Island. Here she takes over her grandmother’s B&B and falls in love with the handsome artist, Ian. 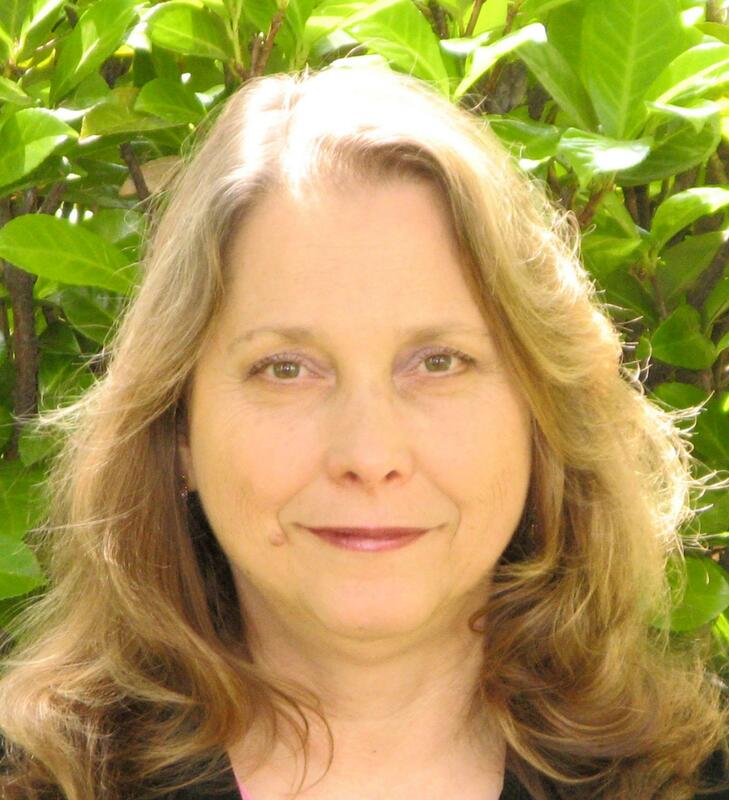 My second book which I am putting the finishing touches on is a women’s fiction novel called Always with You, which takes place in the 1970s on the Russian River in California. I describe it as Bridges of Madison County meets Nicholas Sparks. It is about two people who fall in love, but the man is married and he must decide if he can leave his family for love or if his family and duty come first. How and why did you become an author? Do you write full time? A few years ago, I was at the Farmhouse Bed and Breakfast on Whidbey Island with a good friend. Every spare moment she got, she was reading entries in their guestbook. Finally, I asked what was so fascinating, and she said that she loved hearing about other people’s lives, experiences, loves, and adventures. In that moment, the story just took hold of me and never let go and this was the idea for my first novel, The Guestbook. I don’t write full time. I am also an agent and an editor. I write whenever I can find the time, though I would love it if I could write full time. My latest book came from a dream. It inspired the characters, and with this novel, the main protagonist, Cathy, just started talking to me in first-person present tense and told me her story in 42,000 words. After that, I filled in the story through research, world-building, and some personal memories. And with my first book, I was inspired by that one day with my friend at the B&B, which led to me writing The Guestbook. I have two dachshunds named Basil and Ferdie who I love. I love chocolate. I also love to visit the local farmer’s market during the summer. Write about what you love and learn as much as you can about writing. Today’s feature, Miranda Russell, is special because she’s just a hop, skip and a jump from our beloved Rockport, MA. I first heard her on a YouTube video. That’s all it took. I can’t even imagine what it’s like to hear her live. I was just searching for musicians to introduce to M.L. Gardner’s readers and found Miranda. Watch the video yourself below; her voice is haunting, it’s powerful, it’s solid. She captivates her audience and embraces several musical genres interpreting them in her own unique way. Buy her CD’s here. Did I mention that she also runs an orchard with her husband? Visit them here. Describe your music style to our readers. My style is very hard to define. I sing the music of great songwriters, be it the jazz greats from the 20’s and 30’s, the British folk rock of the 60s, or the the popular music of the last 50 years. My focus is always on telling a story and making it personal, making it connect with the listener. I sing music that moves me and that I feel can deliver something new to my audience. As a live performer, the common thread with my musical choices is that I am emotionally invested in it and my audience can feel that. How and why did you become a musician? Are you full-time? I became a musician after trying hard to not be a musician. My mother is a folk singer and is very identified with the folk music world. Growing up, I had always wanted to be an actress. I sang solos in choral groups in high school and sang jazz for fun, but I thought when I went to college for acting that I would follow through with that dream. After working as a performer I began to be identified as “the singer” among my group of acting friends and associates. I guess I came around to it eventually! My full-time job now and for the past 10 years has been to run the various aspects of the business at Russell Orchards, which my husband and I own. I am inspired by other musicians, by great pieces of music. Sometimes a note or phrase or musical expression will haunt me for a long time. I’m a mother, so a typical day starts with getting our two middle school age children out the door: breakfast, backpacks, and the bus (or a drive to school). Then I usually head to work at the farm. If it’s our busy season I will stay at work most of the day; sometimes into the evening. Then the home routine continues: kids homework, make dinner, bed! If I’m prepping for a concert, things are very different for me. I will practice (doing the old vocal exercises!) early before work and throughout the day as needed. I may have a rehearsal in the evening or spend time writing program notes or listening to rehearsal tapes and making adjustments for the next rehearsal. I remember once as a teenager playing folk songs in the subway station with a friend. She had her guitar and I had my flute and we both sang, improvising harmonies. It was a great time until we were informed that a permit was in fact required to play music in the subway station. Another fond and more recent memory was the from the first night I played at the Shalin Liu in Rockport. 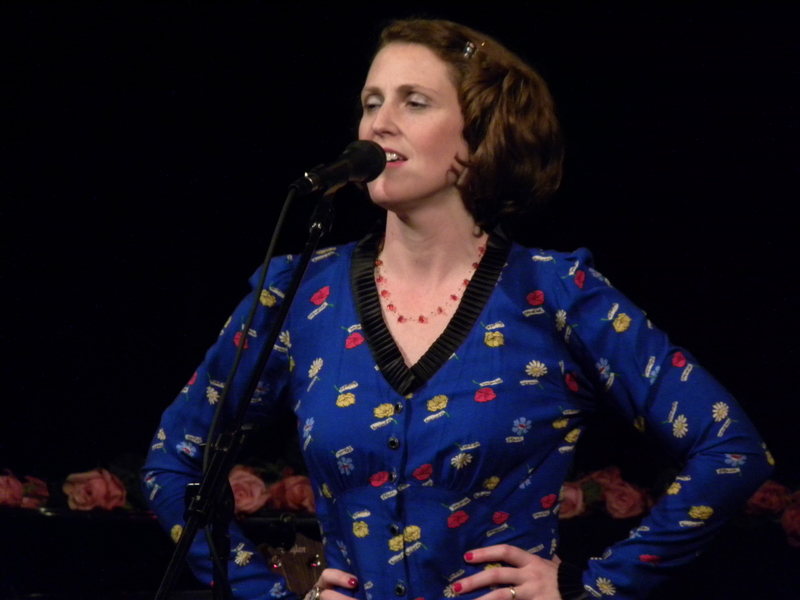 The audience burst into scattered applause and audible sighs when I sang the first refrain to La Vie en Rose. It really took me by surprise how excited people were to hear that song. What advice would you give to other musicians? Leave it all on the floor. Don’t hold back. 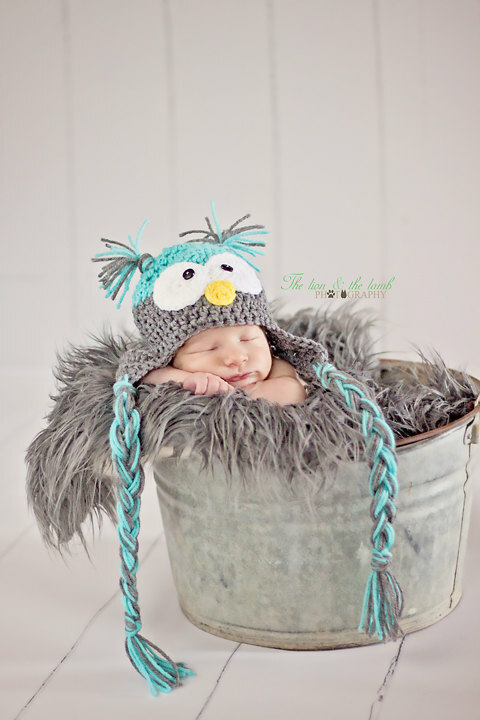 I couldn’t help ooing and ahhing when I came across Elyssa Price’s shop, Little Owl’s Crochet, on Etsy. 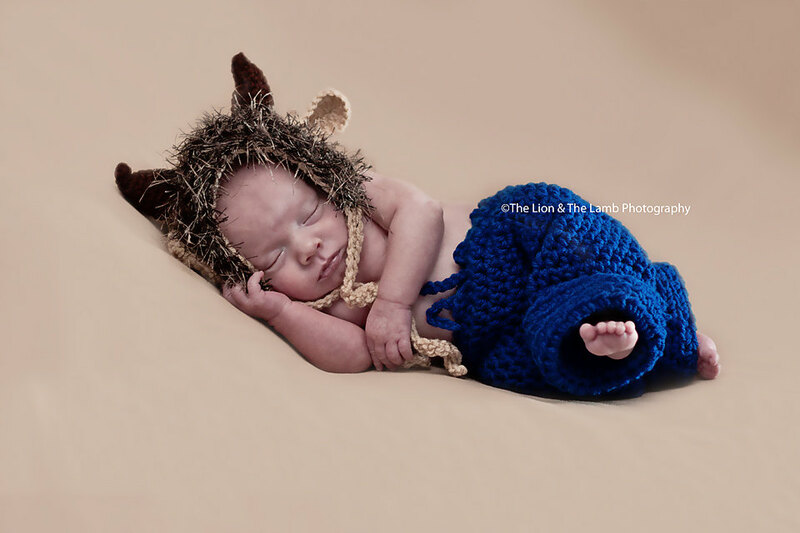 Of course I’m a sucker for adorable baby photographs (she’s a photographer, too), but what really drew me in were her delectable crocheted creations. 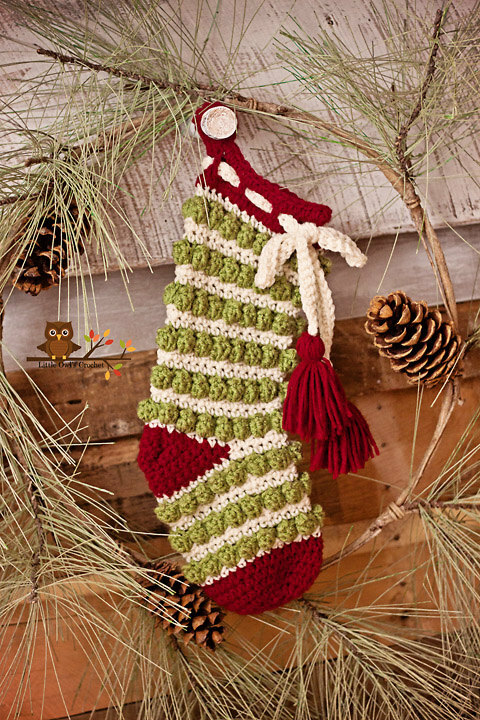 From animal hats, to stockings, to blankets, Elyssa’s shop has something for everyone. I can only say that I wish I had found her sooner so that my babies could have adorned one of those fantastical newborn hats! Visit her Etsy shop here. I provide fun and stylish crochet products for photographers and for everyday wear. Youtube! Seriously. Not only do I do crochet, but I also do photography as well. Once I started my business I wanted to start making my own newborn props. So I sat myself down in front of the computer one day while my son was napping and looked up some tutorials on Youtube. For 2 hours I sat there with a hook and yarn until I made my first newborn hat. I started selling through my Facebook page and heard about Etsy from a fellow photographer friend. Facebook is constantly changing and I noticed I started reaching less fans every day. I opened my first Etsy shop starting out with only a few items and gradually added more products once I saw how much business had started to pick up. Etsy and photography combined are my full-time jobs on top of being a stay-at-home mom. Anything and everything. From television shows, to movies, and even books. Once I discovered Pinterest I found more inspiration through there as well. At first I started out by buying patterns on Etsy and sometimes using just a pattern as a way to make the base of a new hat I can add my own little twist to it as a way to make it unique for my shop. As a stay-at-home mom to a 4-year-old boy it’s always chaos on top of running a photography business and Etsy shop. My husband and I just started homeschooling our son so that was an addition to an already busy schedule. Once I wake up it’s time to feed the pets (dog, guinea pig, and fish), get my son around and fed, homeschooling, and get lunch around. I can always pretty much plan how the day starts out every day. If I even wake up later or schedule something else in between there it already seems my day has been thrown off balance, which is something that I’m still working on. Somewhere in there I usually end up scheduling a photography session. Nap time is when I get my real work done. Whether it be working on a crochet order or editing photos. (1) I am a HUGE fan of The Lord of the Rings and The Hobbit book/movie series. (2) My husband has been a Lego collector ever since he was 9-years-old (now 37). Of course, that rubbed off on me and am now a Lego collector. We now have our own Lego room in our home where we can let our building creativity flow. It’s our favorite room in the house! (3) Christmas is by far my most favorite holiday of the year. By the time Halloween is even here I am so ready to bust out the Christmas decorations! What are 5 things you don’t leave home without? My purse, cell phone, keys, my son (of course wherever I go, he goes! ), and wherever my son goes his favorite blanket has to go. Y.I. Washington has been writing for years. But it wasn’t until she freed herself from corporate America and decided to make writing her number one priority that she truly burst onto the scene. Since then, she’s written an amazing book of poetry aptly titled, “Freedom: Poetry From a Life.” And she’s really just beginning. Join our special guest Y.I. Washington as she talks about her journey to authorship. Buy her book here. Y.I. Washington is what I write under; however, my first name is Yolanda. 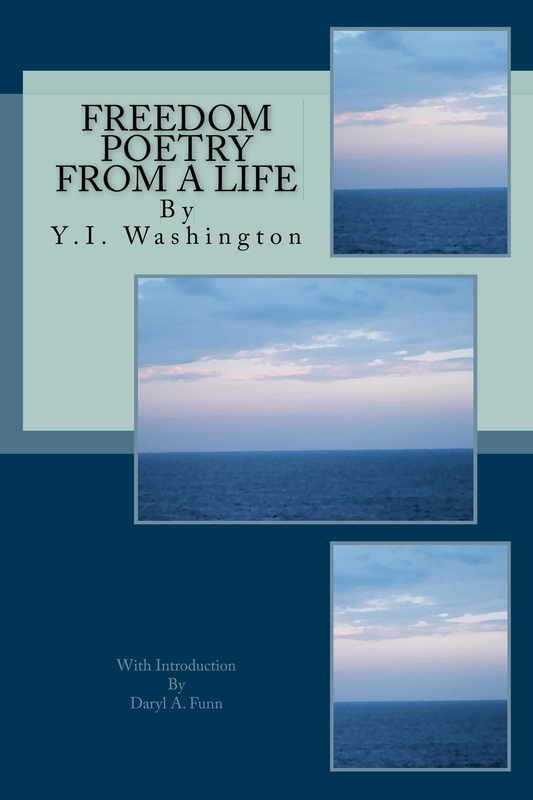 My first published book, is a poetry collection of works that span over 20 years. However, my first and true love is science fiction. My upcoming projects for next year include short stories and novellas. Eventually, I’m going to let my first novel series out of its cage. That may be sooner than later, because it’s starting to gnaw on the bars. After being laid off from my last job in 2008, I decided that I didn’t want to work for anyone but me. After some back and forth trying to find what I really wanted to do; I finally and happily (in 2010) chose to write. But I’m writing what I want now and not what I fear others expect of me. I do write full-time. That’s my career choice and it’s now all I can imagine me doing for the rest of my life as a career. Of course, seeing as I am a member of the Late Bloomers club, that could change in another 20 years or so. Who knows. Beauty, a child’s laughter, social injustice, nature, laser guns, space ships, explosions. You know, the normal girly stuff. Oh wait, that’s tomboyish stuff. I don’t think I have typical days. Each day is different depending on how much coffee I can get, how many emails I have, and how difficult my stories are being. Sometimes the stories work with me, sometimes we get into an all-out cage fight. I usually win, by giving the story its way or compromising with it. I love watching Mythbusters; especially when they blow stuff up. I named my laptop after a Dr. Who character–Dr. River Song. The more I don’t want to cook, the better what I’m making comes out. Yeah, I know, backwards. First off, know why you are writing, what you want to write and stick to it. If you know why you are writing–to fulfill a dream, to appease the voices in your head, to enhance your career, etc…–you will have a better starting point for mapping out your goals and marketing. Second–and I can’t stress this enough–learn the craft and your genre(s). If you don’t take the time to learn, you will make serious mistakes that have the ability to either set you back severely, or end your career before it can even really get off the ground. Keep an eye out for my first three Science Fiction projects which will be published in April, July and October of 2014.